Should You Use Alluc or Not? Alluc is a popular service to watch free movie streaming. Alluc features a massive library where you can find all the most popular movies and tv shows including even new releases. An Alluc Kodi addon is available and the service keeps on gaining an incredible popularity. 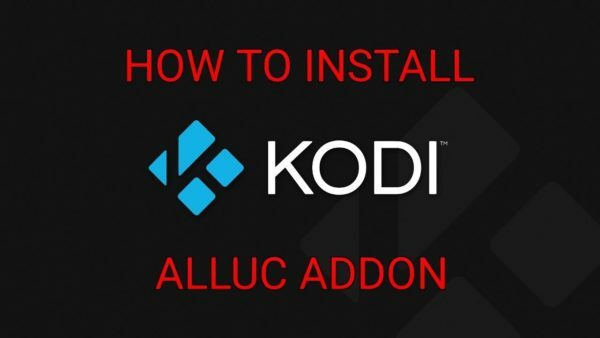 How can you install Alluc on Kodi? Our Alluc review will provide you a straightforward answer to these questions and explain why you should always use a VPN for Alluc. We all know how almost everyone out there watches content online for free. This content can be movies, TV shows, live sports events, etc. There are many streaming sites and services which offer this content to users. Some require a subscription and attract users with the assurance that the service is safe and legal to use. Others are free to use but might not be as reliable as those paid services. In between these two ends of the grid line there are services that are free to use and reliable. Alluc is one such service. Alluc.ee (all-you-see) is not typically a streaming website. It is a website that hosts streaming links redirecting to other websites. It does not share any content from its end. Only the links to streaming sites are shared. You can find links to movies, TV shows, and all kinds of web content on Alluc. The links that are shared on the website are first checked by the administrators. Dead or infected links are removed from the directory upon discovery. Any search query will give numerous links as result. You can choose any of these links to stream your desired content. Alluc.ee has been in operation for more than a decade now. It first started as Allfg.org (all-family-guy). As the name suggests, the Germans who are the founders of this site intended it to be a complete repository of Family Guy videos on the web. But seeing the popularity of the service, the founders expanded their operation, and Alluc movies came into being. Alluc now hosts more than 80 million links from over 700 websites. You can use Alluc movies by simply going on the website and looking up the movie you wish to watch. Alluc even offers a Kodi add-on, which you can use on your device. Naturally, the first concern that any reader is bound to have after knowing about this service is to know if Alluc is legal. That concern is not baseless. Online piracy is, after all, a crime. It’s not for anything that production houses and law enforcement are always trying to shut down streaming sites that operate outside the law. However, Alluc is not one of them. As mentioned above, Alluc does not share any content on its own. It merely redirects users to sites that do so. That, in itself, is not forbidden and therefore Alluc is legal. The reason why this service has been in operation for so long and has continued to grow in popularity is because Alluc is legal! However, the same doesn’t apply to all the websites whose links are shared on Alluc. But that’s something anyone who is out to watch movies online for free knows. However, as far as Alluc is considered, you don’t have to worry about receiving a strike from your ISP if you use the service. Alluc is entirely legal. Safety on the internet, in today’s time, is the biggest concern, right next to privacy. People are usually double-minded when it comes to using free streaming sites. While the legality of the website is the primary concern, the issue of whether the website is safe is not a small issue either. You do not know if the content on the website is free from malware and other infecting agents. So how does Alluc fares in this regard? 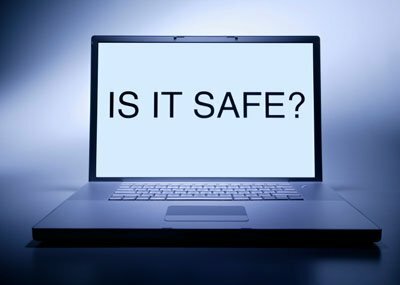 Is Alluc safe? Well, Alluc is in some way safe. Since it doesn’t share any content itself, there’s nothing dangerous about the site. It only hosts links to other websites. But before you breathe that sigh of relief, you must understand one thing. The links that redirect to Alluc movies are to other websites. These are the websites where you can watch the movies for free. More importantly, these are the websites where you can encounter malicious programs. It’s quite possible that the website that Alluc redirects to is infected with some malware or adware. While the admins at Alluc try their best to host only those links which are authentic, they can’t ensure that all the links are to websites which are 100% safe. Even if they did want that, the sheer volume of links from websites that is shared on Alluc movies makes it quite difficult to keep things absolutely risk free. But you can tackle this issue yourself. Using a good antivirus, which you keep up to date, is something that can help you greatly in this situation. A network firewall (in case your antivirus doesn’t provide it) would add another layer of defence. However, whenever you download or watch movies and streaming contents online, you should always protect yourself using a VPN like ExpressVPN , CyberGhost or NordVPN. A VPN connection encrypts your traffic and hides your identity. It’s also beneficial for those still unsure whether Alluc movies is legal because it will make your activity online anonymous. When you are protected by a VPN you can watch Alluc free movie streaming with total peace of mind. In a nutshell, Alluc in itself it is safe but the websites it links to may be unsafe. However, a combination of a good antivirus, a firewall and one of the best VPN will make watching free movies on Alluc safe. 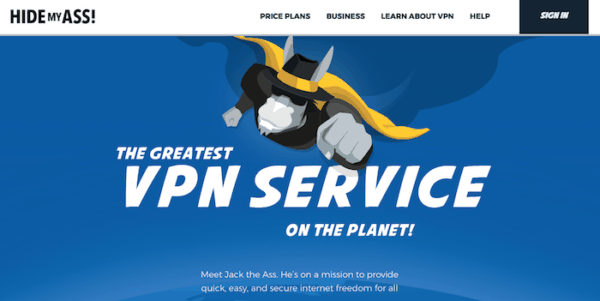 When it comes to Virtual Private Networks (VPNs) ExpressVPN is probably one of the first that comes to mind. ExpressVPN is a fast and reliable way to browse anonymously. ExpressVPN has 1000+ servers in 136 cities across 87 Nations. Having an account with ExpressVPN allows you to connect to a server in your location. Once you’re connected, you reap several cool benefits like being able to stream movies and other media at high speeds, as well as all your data being highly encrypted to protect from attackers, retailers, and even your own internet provider. At this stage, the largest deterring factor when it comes to ExpressVPN is the price tag. It looks more expensive then other providers but the quality you get is almost unparalleled. However, if you subscribe for a 12 month plan you will pay just $8.32 per month. Of course, whatever plan you go for you are protected by the 30-day money back guarantee that keeps you risk-free. CyberGhost claims to have the highest possible speed of all existing VPN’s with its 1000 servers in locations worldwide. They also have 256-bit AES encryption. CyberGhost is also available on all operating platforms and gives you the option to connect up to five different devices to one account. Like most other VPNs CyberGhost employs a strict no logs policy. CyberGhost offers two different billing options. They seem to be one of the less expensive options on the market. If you buy the 2-year plan it will cost you an economical $2.90 per month. Taking advantage of the 30-day money back guarantee you can try CyberGhost VPN risk-free. NordVPN offers all other things that most other VPNs do: high speeds, many servers over different countries, killswitch, etc. But perhaps the most attractive thing when it comes to NordVPN is their unique double encryption. Most VPNs only use a single encryption, which, to be fair, is strong enough to not necessitate the use of a double encryption. But if you are someone who works with highly sensitive data, NordVPN should definitely be your first option. An added benefit of NordVPN is that it a very affordable option with a monthly option starting at $3.29 per month. Again, the hassle-free 30-day money back guarantee will give you peace of mind. The biggest appealing factor of HideMyAss is undoubtedly its astounding server base. HideMyAss boasts over 700 servers located in 900 different countries. This makes it a great option when you’re located in a remote part of the world. HideMyAss offers standard encryption to all users. HideMyAss offers three different billing options where you can choose to pay either monthly, bi-annually, or annually. In addition, HideMyAss also offers a 30-day money back guarantee. 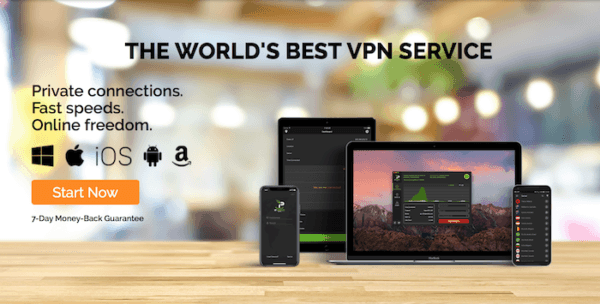 IPVanish is widely considered to be another premier option in the VPN industry and offers many of the same perks that ExpressVPN does. IPVanish boasts a very fast speed with over 600 different servers in 80 different countries worldwide. It offers 256-bit AES encryption which ensures incredibly secure browsing. Lastly, it follows a strict zero-logs policy, meaning no one will be able to keep track of what you browse. Despite being a US-based company, the servers in different countries ensure a high-speed connection almost anywhere in the world. 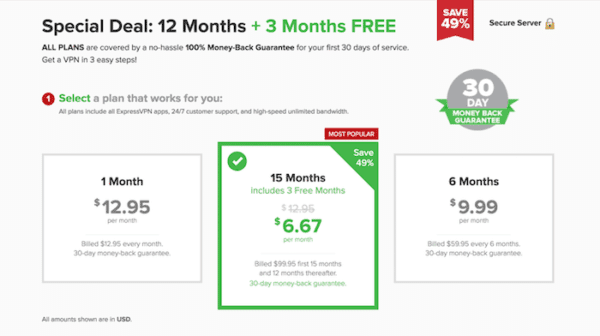 Similar to ExpressVPN, IPVanish works on a subscription basis and does not offer free trials. However, there is a 7-day money back guarantee period, and moreover several high-profile clients willing to vouch for this service. Don’t forget to turn on ‘Unknown Sources’, for it is crucial to install third-party addons. The first time you use Kodi Alluc, you’ll be prompted to register. Use this link to do so. Alluc is legal. However, there’s no denying that some streaming content that Alluc redirect you to may be at times illegal. You can find ways to protect yourself from facing any legal backlash by using a VPN. A VPN connection will anonymize your traffic and hide the fact that you are using the streaming service. You can do the same using the Tor browser but the speed will be so slow that you may find it impossible to watch streaming contents. However, if you are not that stripped for cash, and don’t want to do so many things just to watch movies for free, you can always opt for a subscription-based streaming service. There’s a reason why Netflix, Hulu, and the likes are so popular. In any case, if you use the service properly, Alluc is both safe and legal. A test alternative to streaming websites. alluc website that purports to show “free movies” is losing most of its younger audience now;we have the statistics.–it is because there are no free NEW MOVIES JUST TRAILERS–WHICH ARE LEGAL.BUT our company decided not to advertise with alluc as our research told us,the big following of viewers they had, is mostly gone.–no one wants to get promised free new movies,and then can only find TRAILERS. TRAILERS ARE EVERYWHERE.–why place ads,and also get people to join sites,when there is nothing but trailers?we would waste money. A competing company told us,they were dumping Alluc,as their ads were getting widely ignored–and they could not comvince people to pay money to a site,to watch movies or t.v. i have heard that HULU and Netflix also are not doing good business-its a bad economy every where. (Wait until millions of Americans lose all tax deductions, it will be even worse. )I suggest that the web is over saturated with websites looking to make a bundle,and we found it a very bad idea,with other investments.we advise BE MORE CAUTIOUS WITH INVESTMENTS ONLINE.— secretary of Multinational corp. Thanks for your comments. We tried again Alluc and we were able to stream movies without any issue. I invite you to try again this site and let us know your feedback. The major sites like Openload have no bandwidth cause they are over loaded; i used to get them to work all the time.–now they constantly drag; the “videome” used to work,now it won’t even start–and a lot of these sites stopped showing free movies,who used to.—a lot of them DUMPED FREE MOVIE FUNCTIONS–its not just me,everyone else complains to me.–there used to be MANY MORE FREE MOVIE SITES,connected to alluc–they now want you to pay–and you get bombarded with MALWARE ADS FROM THEM,when you try to find free movies.People on Facebook complain,and “we want the original alluc back.”I did look up all the business sites of alluc–it has become a big conglomerate selling ad space to companies, you should see it.Its “corporate” now.Want me to trot out their business pages?I really don’t have to–anyone can see business pages online, its now “all about selling massive ad space.”I’m glad you can get alluc websites to work so well–go to their Facebook page and talk to those unhappy people.I am out of it. It is recommended to use an Adblocker like Adblock in order to avoid issue on such site. On top of it, make sure to use a VPN when using streaming sites. On top of it you can consider using a firewall on your PC or Mac this would give you an extra layer of security and privacy. My son accidentally clicked on an add and now alluc ceased to work. I click on the movie and it goes to a blank page? I may have a virus from what he clicked on.